[New York, NY – October 13, 2017] Chris Brown, the Grammy Award winning and multi-platinum-selling singer-songwriter, is set to release his eighth solo studio album Heartbreak on a Full Moon, on Halloween, October 31. The pre-order is available now at all digital music providers. 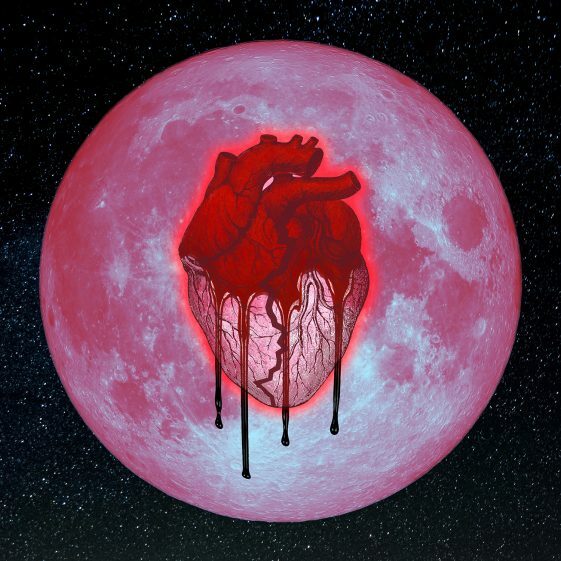 No tricks here – Heartbreak on a Full Moon is a double album with 45 banging tracks featuring guest appearances by Jhene’ Aiko, Lil Yachty, Gucci Mane, Yo Gotti, Kodak Black, Future, Ty Dolla $ign, Young Thug and more. See complete track list below. Produced by Antwan “Amadeus” Thompson & Trilogy for Platinum Boy Music, Inc. Produced by Scott Storch; Co-Produced by Diego Ave. Produced by Antwan “Amadeus” Thompson & Velocity Music for Platinum Boy Music, Inc. & Velocity Music, Inc. Celebrating over 12 years in the music business, Chris Brown arrived on the music scene in 2005 as a 16-year-old with his hit single “Run It!” from his eponymous debut album. Since then he’s racked up 30 million worldwide album equivalents with 11 million album sales, 75 million track downloads, 10 billion audio streams and 6.6 billon video streams. Chris has garnered six No. 1 singles (two on the Hot 100; four on Hot R&B/Hip-Hop Songs), 13 top 10 hits on the Hot 100 and 37 top 10 singles on the Hot R&B/Hip-Hop Songs chart. Adding the coveted Grammy Award to his collection for F.A.M.E., Chris is the recipient of over 40 awards, including Billboard Music Awards for Artist of the Year (2006) and Top R&B Artist (2012), four BET Awards for Best Male R&B Artist and MTV Video Music Awards for Best Male Video and Best Choreography for “Turn Up the Music” (2012). In 2014, Brown released his widely successful sixth studio album X, which featured the platinum-plus selling single “Loyal” featuring Lil Wayne and Tyga. X debuted at #1 on the Billboard R&B Albums chart and #2 on the Billboard Top 200 chart, and earned Brown three Grammy nominations, including Best Urban Contemporary Album. In 2015, the success of many of his hits, including “Zero,” “Liquor,” and “Ayo,” led Brown to be named the #5 Rhythmic Artist of The Year and the #6 Urban Artist Of The Year, according to Mediabase’s year-end chart information. Brown’s 2015 release, Royalty, marked his sixth #1 debut on the R&B/Hip-Hop album chart and his seventh Top Ten solo album debut on the Billboard 200 chart. Royalty also entered at #2 on both the Top Album Sales and Digital Albums charts and #3 on the Billboard 200 chart.